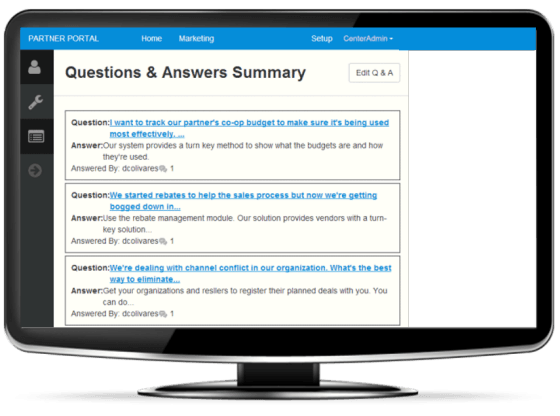 What is a Partner Portal platform? A partner portal is a cloud or web-based application that gives an outside party a secure yet partitioned access to certain information. Each manufacturer has their own rules and information that they provide their channel partners. Typically, Partners are given access to the portal through their manufacturer’s website to access marketing materials, sales and pricing instructions, support, and technical information. With our state-of-the-art PartnerPortal platform, you give channel partners a one-stop-shop that seamlessly answers all their channel needs. 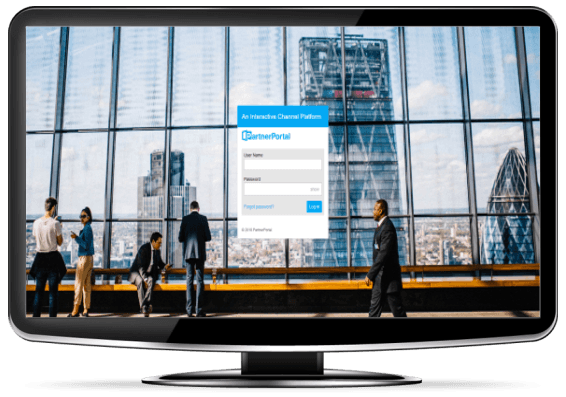 PartnerPortal is a centralized and customizable platform created specifically for your channel needs. Use this interactive platform to efficiently manage partner sign-up, marketing funds, deal registration, rebates, and more. CMR’s PartnerPortal platform provides companies with a standardized and streamlined way to register basic information, share business practices, create sales and marketing programs, audit and manage distributor claims, and more. In turn, vendors are able to quickly add partners and communicate to forge relationships that contribute to more profitable opportunities, stronger loyalty, and higher productivity. 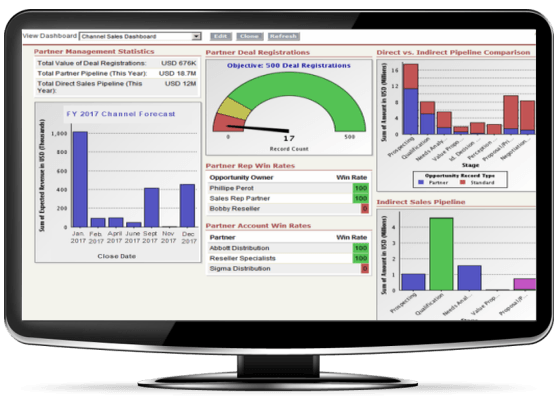 Partner Portal: Your single entry point to access multiple channel sales, administrative, marketing and management modules. With a single point of access, partners can conveniently access the portal from any web-based application by simply entering in your credential requirements. A single point of access to all channel data means that vendors and partners will have up-to-date information. Partners can visit your existing website and use single sign-on to enter your partner portal customized to look like your website. Ability to style your partner portal to look like your website. Ability to upload a logo, edit layout, menu, text, and colors based on their brand identity and corporate culture. Admins will be able to create forms with ease using drag and drop interface. Admins will also have the capability to quickly create custom forms for each set of their program rules that apply to specific partners. 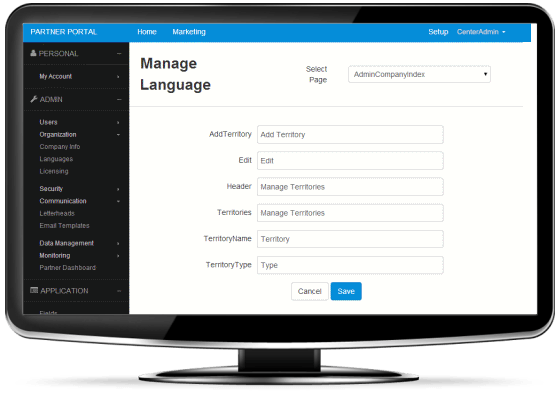 Administrators can add or set a default language for users, change language preference on the portals navigation bar and forms. 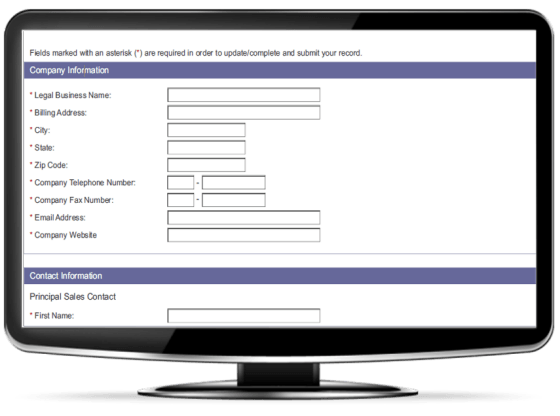 Portal administrators are given the ability to dictate the role and access rights for each user account. Admins also have the ability to assign users or user groups to territories. Additionally, field level security can be set to hide or grant read-only access to specific fields for a specific role. Ability to create folders and subfolders. Ability to upload files and choose what roles have read-only access and what roles have read and write access. 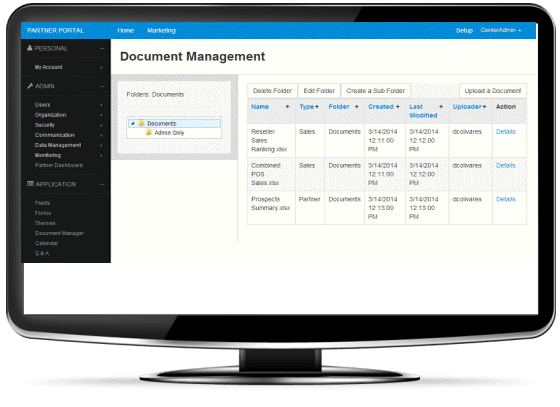 Ability to view all users who have accessed a document or folder and at what date and time. 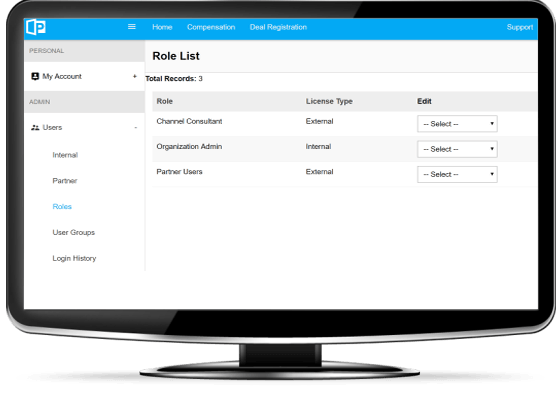 Easy-to-use drag and drop functionality administrative interface allows channel managers to configure and manage partner dashboard. Partners can view reminders, deadlines, or events the vendor has created. Ability to view in calendar or list form. Partners can click on an event for more information. A brilliant tool for communicating with distributors, resellers, VARs, and all other channel partners. Allows administrators to add questions and answers that they would like partners to see, similar to an “FAQ”. Partners can view questions and answers once they have logged into the partner dashboard. Ensures complete data integrity, GAAP compliance and eliminate timely data disputes with detailed transaction reporting. Plug-and-play integration allows you to import leads and POS information directly from your CRM (and other third-party automation systems) and transfer it into your PartnerPortal, preventing manual data entry while consolidates all pipeline activity. Administrators can review partners and whether or not they are active. The Pending Account section allows administrators to review applications submitted by prospective partners. Allows administrators to view a summary of all partners and available funds. Product information, collateral, and much more. Comprehensive audit trail of partner claim activities. Provides detailed audit logistics based on weekly, monthly and quarterly channel POS data. 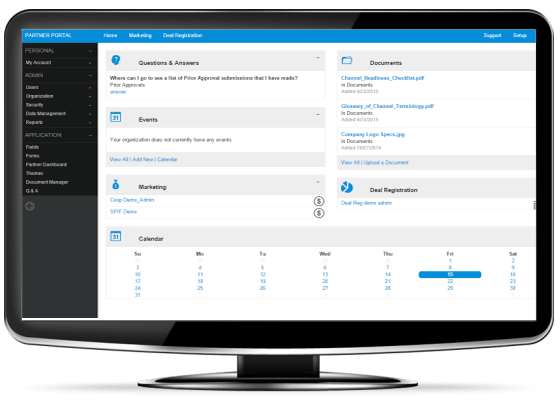 Ability to manage partner dashboard and create forms with ease using drag and drop interface. Tailor each program based on your unique business parameters for incentive eligibility. Ability to change, modify or eliminate a program at any given time. Combine multiple programs to one transaction. Flexible and customizable program design via robust, cloud-based environment. Build programs by partner tier, business model and product line to align partner activity with internal objectives. Provide specific content to different types and tiers of partners. Eliminate manual process. 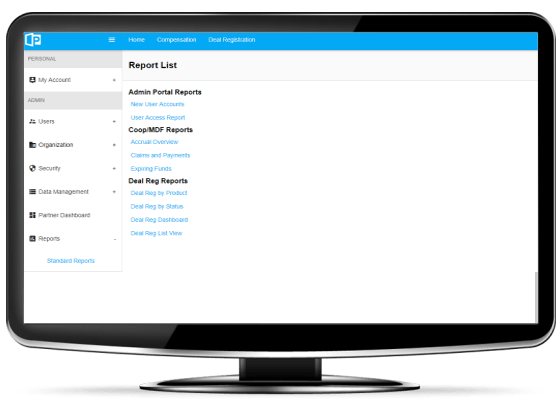 PartnerPortal expedites the entire channel management process so that you will never have to manage disparate partner data feeds. 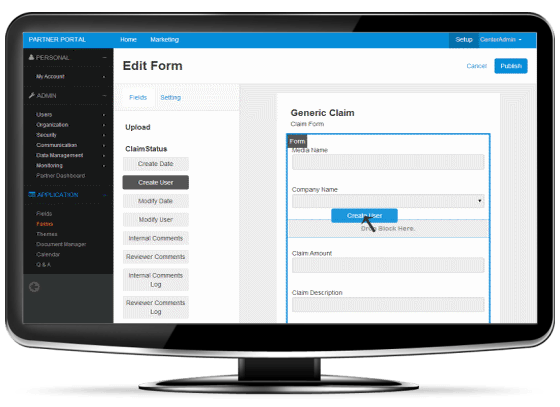 Eliminates manual audit management by streamlining claim validation. Increase sales by responding to real-time granular POS data from the channel. Assists in developing more effective partner segmentation. Improves demand forecasting and accuracy in channel inventory production/distribution. Real-time results help with monitoring program in order to improve efficiency. Helps improve strategic planning and resource allocation. Helps monitor the deadlines for the expiration of funds. Expedite lead distribution, qualify opportunities, close more deals, align programs with bottom line objectives and improve reimbursement and/or price adjustment turnaround for increased partner satisfaction. Create defined channel programs and objective parameters to ensure there is no mystery or questions about how to qualify for an incentive. Allows administrators and partners to have one login, through the company website. Integrated cloud-based channel management solution. Password security ensures confidentiality and control. Based on your specific guidelines, partners cannot submit invoices until all requirements are met. 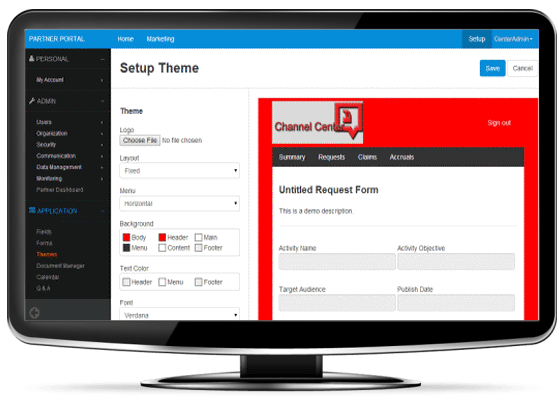 Channel managers can create and manage all webforms without requiring IT resources. Computer Market Research assist companies to better manage their Co-op/MDF programs thru a structured, comprehensive and easy-to-use platform. The ability to instantly validate proof-of-performance, keep track of funds, monitor POS and evaluate campaign effectiveness is an empowering element to your channel marketing’s success. By implementing a tangible, quantitative database for managing Co-op/MDF dollars, you improve the planning, development, and execution of advertising efforts, strengthen partner loyalty and avoid the frustration that comes with manual management. Computer Market Research’s automated ship and debit platform is engineered with robust, sophisticated and easy-to-use features that help manufacturers and vendors better manage incentive programs with channel partners. Unlike traditional methods of Ship and Debit, CMR seamlessly integrates partner data into clear and concise, quantitative, tangible and readily available information. Manufacturers and vendors can analyze these information anywhere, at any time—to calculate accruals of submitted claims within seconds. This allows manufacturers and vendors to rebate channel partners faster than ever before. 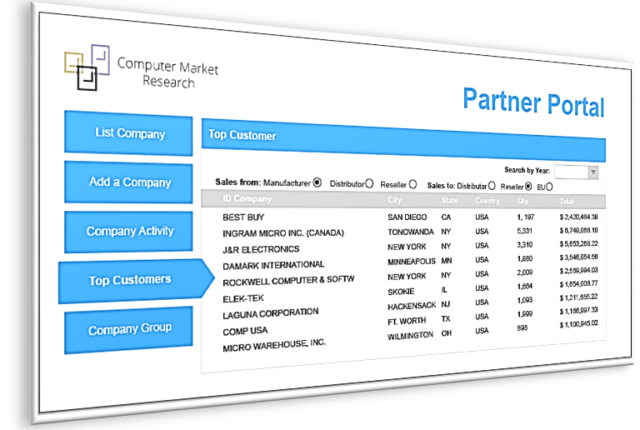 Computer Market Research assists vendors to better manage their SPIF rebate program with channel partners through automated claims management. This powerful and intuitive module seamlessly integrates and measures sales revenue/transaction reports so vendors can accurately (and more efficiently) compensate channel partners. 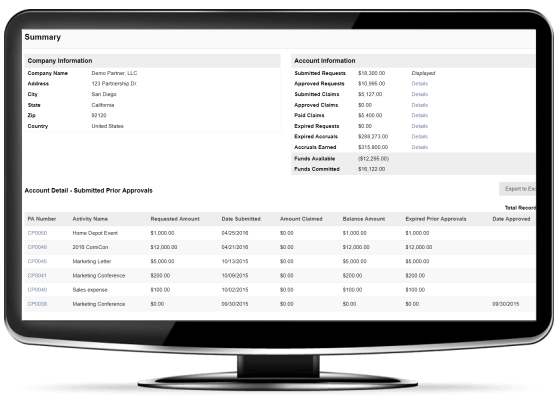 Save time, streamline data and automate your administrative payments via CMR’s web-based application, PartnerPortal. Computer Market Research’s web-based Inventory Management module provides vendors with complete visibility into their indirect sales funnel or distribution chain. Vendors no longer have to keep track of inventory levels via Excel spreadsheets, emails or phone calls—methods which deteriorate workflow efficiently, increase labor costs and risk inaccurate inventory reporting. CMR authenticates channel partners’ inventory levels via state-of-the-art automation, which calculates, analyzes and provides readily available data. Computer Market Research helps vendors and their respective channel partners by ensuring ‘lead priority,’ reducing the risk of channel conflict, and increasing channel sale opportunities while fostering profitable and loyal partner relationships.